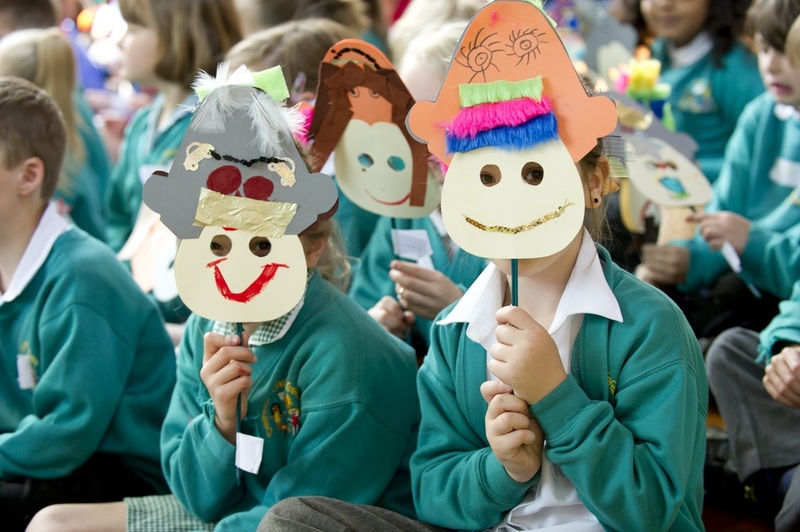 Hannah has been collaborating with award winning author, Ed Vere on numerous projects since 2010. One of these was an interactive children’s concert with the Britten Sinfonia, based on his best selling picture book, Mr Big. Ed illustrated the story live on stage as Hannah led the audience through a programme of songs and discovered the story and magical world of Mr Big. In 2010 Hannah led a concert tour of Mr Big with a string quintet from the Britten Sinfonia to North Norfolk primary schools. For this tour she was commissioned to write three new songs to fit with the picture book and story. 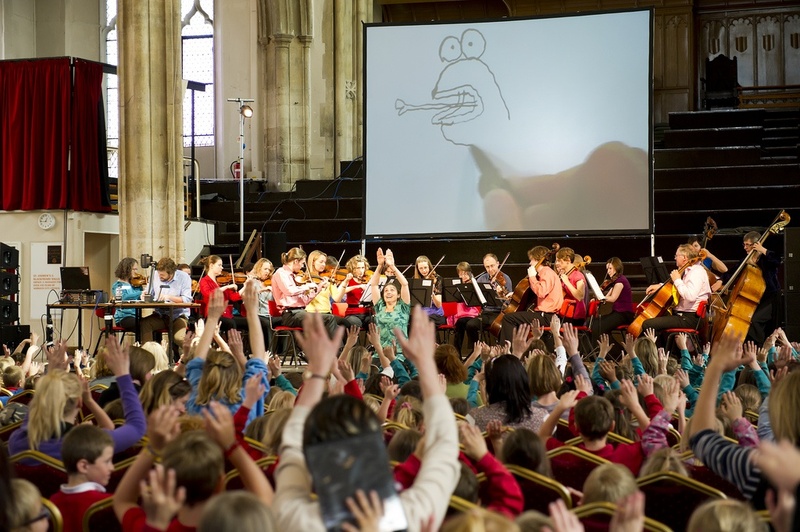 The project was so successful that the orchestra commissioned a special concert performance with full string orchestra at the Norfolk and Norwich Festival in 2011. Hannah presented the concert, narrating the story and exploring the instruments of the orchestra and delving into a programme of varied repertoire. Throughout the concert, Ed illustrated live on stage, his drawings projected onto a huge screen behind the orchestra. Since then, the concert has been in great demand touring venues throughout the UK.